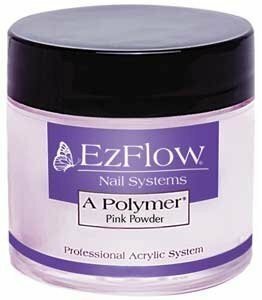 Our Ezflow A Polymer Pink is a special formula used to create long lasting, durable nails. It has a medium set time which allows you ample time to perfect your desired shape. Pure, non-fade consistent colour is fast drying to give smooth texture with no bubbles. A Polymer Pink is used as a great natural looking base for a French Manicure.